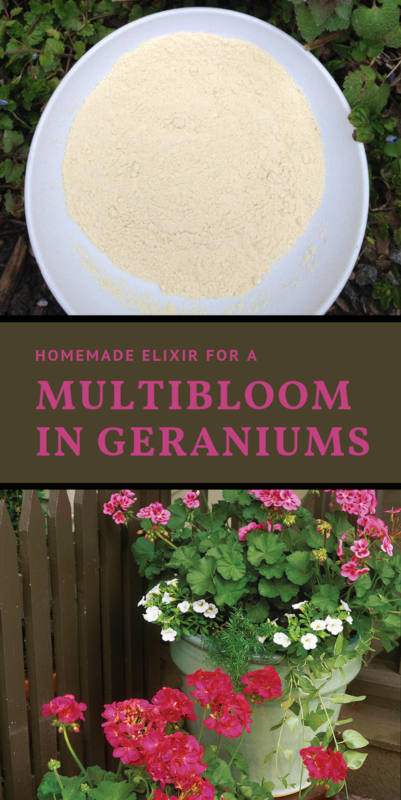 I was thought about this elixir by a caretaker from the Botanical Garden, when she noticed me that i couldn’t take my eyes off the geraniums. I could not believe it, thinking that chemical fertilizers were being applied. But that’s not true! Flowering will last almost everywhere! Plants will become stronger, more resistant and will not suffer from sunburn, will easily withstand the heat and will not be affected by the disease. The composition of the elixir is very simple and accessible. 1. Pour 2.6-2.7 liters of chlorine-free water into a 3 liter jar. 2. Dilute the yeasts in warm water, and then add the yeast in the jar along with the sugar. 3. Cover the jar with a piece of gauze to keep it warm. Periodically shake the jar. The solution will be ready when the fermentation is completed. Then dissolve a glass of solution to 10 liters of water and water the geraniums with 1 glass every two weeks. It’s important to use quality yeast. Dry yeast for cakes is not recommended. The best ones are for brandy and wine. A few years ago, every windowsill has at least one geranium, but nowadays you barely see one. Many people don’t like their specific smell, and others prefer decorative plants. In fact, the geraniums are a very useful plant. The essential oils emanated by the leafs will be just like shield against viruses and bacteria. It also cleanses the air very well. Try to grow geraniums, because they are easy-to-care plants.